Magnesium is the second most abundant mineral in your dog’s body after potassium. Your pooch needs this mineral for almost all his bodily functions including his moods. If he gets enough of it every day, he should live a healthy happy life showing you nothing but love. Bullyade provides your dogs the vitamins they need to maintain their health. However, there is a problem. Magnesium is one of the few minerals your pooch finds hard to absorb. Also, this mineral is naturally occurring in foods that he may not want on his menu. So the only way to ensure your canine friend gets enough magnesium is through supplementation. Magnesium in dogs is involved directly with muscle health. The strength and energy your pooch channels each day is because he has enough of this mineral in him. Magnesium aids in contracting and relaxing of muscles as well as muscle regeneration. Secondly, magnesium is also important for organ health and functioning. Your dog’s heart, liver, and digestive tract need enough minerals to function optimally. Moreover, the presence of magnesium in the body assists in the absorption of minerals like potassium, zinc, and calcium. 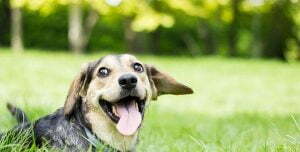 Thirdly, magnesium plays an important role in your dog’s mental and emotional well-being. Health experts have discovered that this mineral has a calming effect when it is abundant in the body. This makes magnesium a perfect remedy for dogs that frequently get anxious or agitated. Lastly, magnesium combines with a mineral like calcium to ensure your dog has strong bones and teeth. Magnesium is found in raw wheat germ, whole grains, and soybeans. Moreover, it is also found in peanuts, cashews, almonds, quinoa, and edamame. Greens like spinach also have enough amounts of magnesium in a 175g serving. Dairy products and fish also have some good amounts of magnesium. As you can see, telling your dog to go full vegan, so he gets his magnesium, is asking too much of him. However, you can choose to let him enjoy his usual diet while you throw in a supplement or two. Moreover, there are pet care products that contain magnesium which can be administered externally. After a tasty meal of meaty bones or dry kibble, feed your dog a pet magnesium supplement as well. Your pooch will require about 0.04% of magnesium which roughly translates to 1mg a day in his diet. Quality pet supplements already have this quantity accurately measured so you will never worry about your dog becoming magnesium deficient. On the other hand, your pooch can still get his magnesium via quality skin care products for pets. Interesting fact, magnesium is absorbed faster via the skin than through the digestive tract. So as you give him a few crunchy supplements also wash him with a magnesium-based dog shampoo. Other benefits he gets from the shampoo is that it kills his dander and also leaves him smelling nice. Magnesium is essential for your dog’s growth. Ensure you feed your dog quality magnesium pet supplements to maintain his good health. Add a magnesium-based dog shampoo as well for the same benefit.